Iran’s Supreme Leader says his country rejected a U.S. request for cooperation against the “Islamic State”. 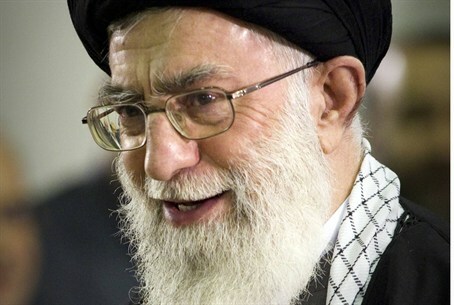 Khamenei accused Washington of seeking a “pretext to do in Iraq and Syria what it already does in Pakistan -- bomb anywhere without authorization,” according to Al Arabiya. Earlier on Monday, Kerry waffled on his position from last Friday, when he ruled out Iran's participation in a global coalition against IS, saying in an interview that he would be open to military cooperation with Iran. Asked in a Yahoo interview whether the U.S. would cooperate militarily with Iran, Kerry did not rule out the option, saying, "Let’s see what Iran might or might not be willing to do before we start making any pronouncements." Kerry elaborated, saying, "I think we are open to any constructive process here that could minimize the violence, hold Iraq together - the integrity of the country - and eliminate the presence of outside terrorist forces that are ripping it apart. I wouldn’t rule out anything that would be constructive to providing real stability. Two weeks ago it was reported that Khamenei had authorized his army to coordinate joint military operations with the US against ISIS in Iraq. The State Department later clarified it has "no plans" for any military coordination with Iran in the fight against Islamic State.